James City Cavalry meetings are held on the fourth Wednesday of each month. 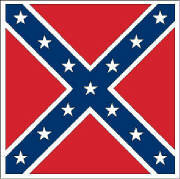 The Camp meets at "The Colonial Heritage Club, with supper being served at 6:30 p.m. The meeting will be called to order following supper at approximately 7:00 p.m. and our speaker will be introduced at 7:30 p.m. The catered supper costs $17.00 per person. We suggest members and guests arrive a little prior to the supper hour. The James City Cavalry is an historical honor society. In addition to our monthly historical speakers the Camp also sponsors a college scholarship, maintains 6 local abandoned family cemeteries, does an annual clean-up on the grounds of Fort Magruder (redoubt #6), and maintains a local 'gravesite location' tab on our website for people doing historical and family research. Please join us at an upcoming meeting of the James City Cavalry. 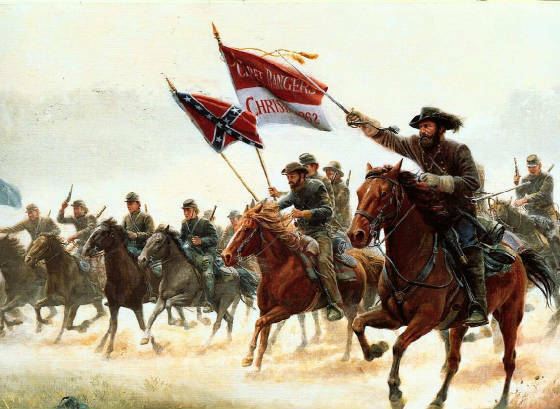 Next Meeting - April 24, 2019, 7:00 PM - Guest Speaker - Mr. Chris Mackowski - NPS Historian and Author - "The Battle of North Anna"
Our Confederate Heritage is under attack like never before in history. We are witnessing historical genocide and an attempt to eliminate everything Confederate in our nation. 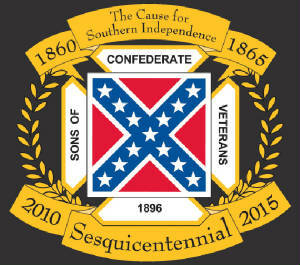 Please visit the following link: http://www.scvheritagedefense.org and distribute to all your members. This is the time for this most important fund raising goal for our division and the SCV. (Click) for information on "The Epic Civil War Series Continues"
"To you, Sons of Confederate Veterans, we will commit the vindication of the Cause for which we fought. To your strength will be given the defense of the Confederate soldier's good name, the guardianship of his history, the emulation of his virtues, the perpetuation of those principles he loved and which you love also, and those ideals which made him glorious and which you also cherish"